Greetings grasshoppers. 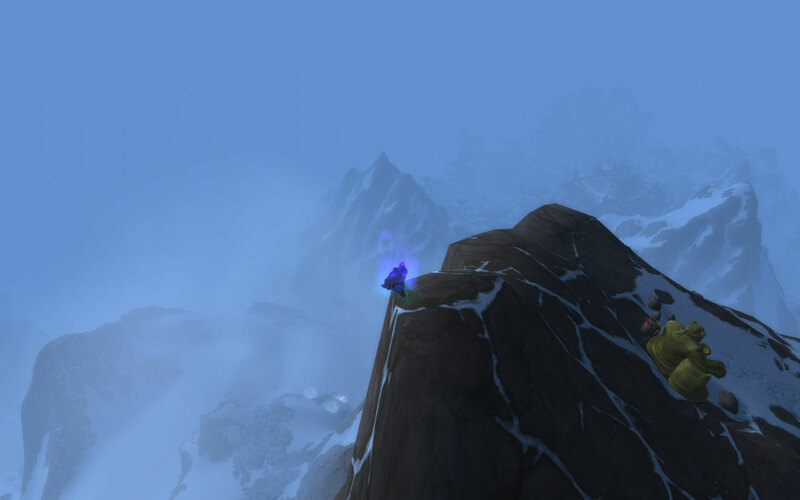 Pandaria is now in full effect and it is with great zen-like patience that people have made it to level 90 and into raids with all of the adjustments to gear and stat levels at this time. By now, a lot of players are probably level 90 and with level 90 comes the final tier of active abilities to use at your discretion. 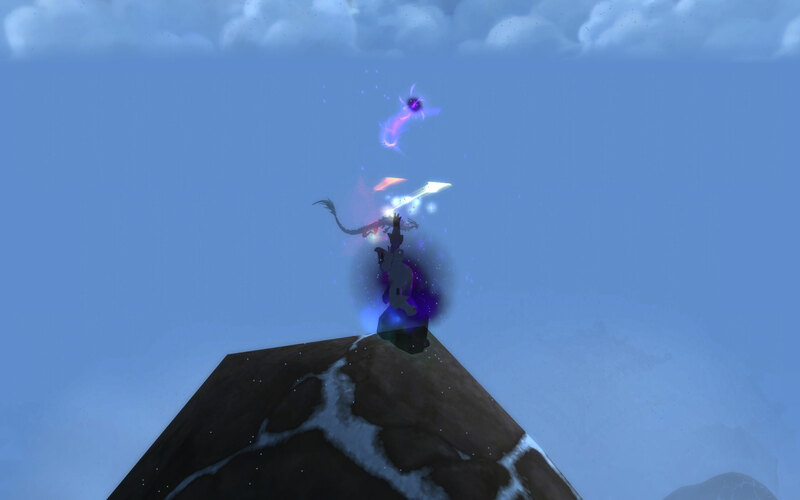 The abilities priests gain are very powerful, and can have a dramatic impact if used properly! You may experience a period of meditation in your travels. Cascade is a very controlled spell, it does what it says it will do automatically regardless of player location. 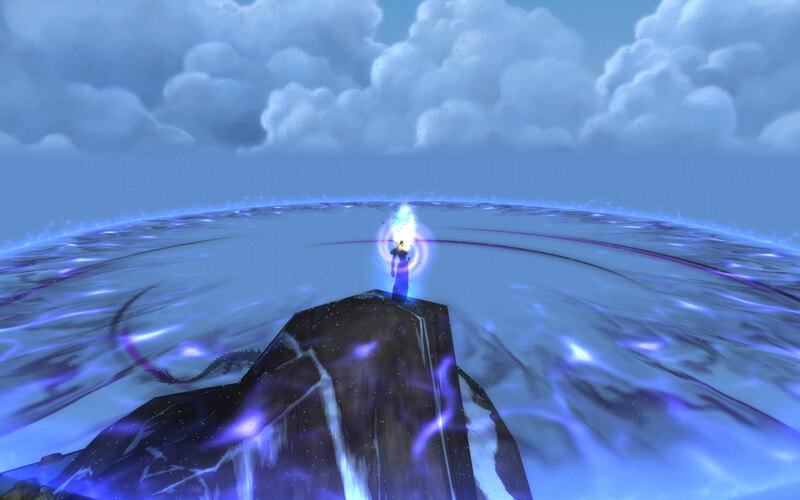 Cascade is similar to the Prayer of Mending ability in the aspect that it bounces from target to target, hitting targets farther away from the bounce, and never the same target twice.. From a DPS perspective, cascade in a raid setting does not seem overly viable for minimizing and maximizing unless there are 5 mobs up and tanked in 3 different locations. Cascade will appeal to players who like classic pinball with a hint of bumper cars and turning it into a spell to use. We’ll call it Pin Cars! Or Bumper Ball! …… Or maybe just Cascade, yeah that will work. I shoot magic into the stratosphere. Divine Star is a nice ability that shoots a ninja death star of doom out in front of you 24 yards. And then with great boomerang physics, snaps back towards you. Anything in the path from you to your target will take damage, both while the star is traveling and returning. Divine Star is extremely effective if you are able to line up all of your melee/ranged in a 24 yard radius (and in small clumps) or the same with your enemies, but with the amount of effects going on in raid environments, that is almost impossible, aside from that one time it happened, somewhere! Divine Star is suited for more controlled situations. Divine Star is a spell for people who fancy seeing a burglar sneaking into someone’s house and then jumping out of the bushes and hitting them square in the eyes with a throwing star! No, not that video game franchise that has “power armor”. Halo is a powerful explosion of light or shadow that damages all enemies/neutrals and heals all allies within a 25 yard radius. Halo is a finesse spell. That damage and healing that halo does increases the farther an enemy or ally is away from the priest. For this reason, if a priest has the halo talent, staying at 25 yards maximizes the dps and healing to melee part of this spell. This spell is very effective in healing intensive spots, such as epicenter on Feng the Accursed. Taking a few steps up before epicenter hits and then casting halo (while you have a -75% chance to hit debuff), will maximize the healing on melee and also heal the ranged group for a bunch more as opposed to those 3 seconds you would normally be stacked on top of them. Halo is not an either or spell like cascade, and it not a straight line like Divine Star, it will heal and damage indiscriminately and the amount of damage and healing has a very high cap amount. It is for this reason I chose Halo as my level 90 talent, use it when you have spellpower procs to see some pretty amazing numbers! Halo is for the type of person who could sit at a computer and watch Youtube videos of atomic bomb explosions in the middle of a film segment all day long. It is also for the person who queues into Gnomeregan, unwillingly of course, and as soon as they see Mekgineer Thermaplugg they yell: “EXPLOSIONS! EXPLOSIONS! I GOTTA HAVE MORE EXPLOSIONS!” each time they engage the boss. So what category do you fall into? Are you a pinball wizard who like to bounce around cascade? Are you secretly a ninja IRL who chucks throwing stars when people least expect it? Or are you a part-time pyromancer who looks forward to setting off fireworks, even on non-holidays? And how do you feel your own class is at level 90 in comparison to others?